The end of Thanksgiving marks the unofficial start of the Christmas season, the time when our gift shopping can no longer be put off. One company just got their present very, very early. 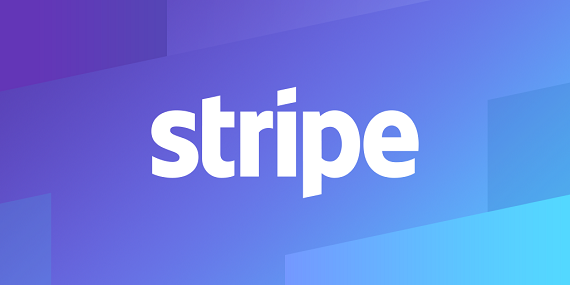 Online payment platform Stripe has raised a $150 million round of funding, the Wall Street Journal reported on Friday. The round was co-led by CapitalG, and General Catalyst Partners, one of Stripe’s earliest investors. Other existing investors in Stripe, including Sequoia Capital, also participated in the latest round. 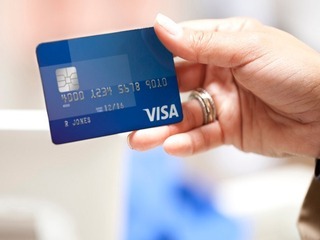 This new money brings the company's valuation to $9.2 billion, nearly doubling the $5 billion valuation it got when it last raised funding, an undisclosed amount from Visa in July of last year. The company has now raised roughly $460 million in venture capital. Other previous investors include Thrive Capital, Founders Fund, Khosla Ventures, Redpoint Ventures, Andreessen Horowitz, SV Angel and Peter Thiel. In addition to the funding, Stripe also received a credit line from banks including J.P. Morgan Chase, Goldman Sachs Group, Morgan Stanley and Barclays. Founded in 2010, Stripe provides a set of unified APIs and tools that instantly enable businesses to accept and manage online payments. Some of its customers include OpenTable, Warby Parker, Blue Apron, Target, Best Buy, Adidas, Under Armour, Lyft, Postmates, Doordash, Instacart, TaskRabbit, Handy, Deliveroo and Saks Fifth Avenue. The company that Stripe is most likely to be compared to is Square, as both take a cut of each transaction made with their software, though they serve different markets: Stripe mostly does online payments, while Square mostly does in person payments. While Square, which went public last year, is still larger than Stripe in terms of payment volume, the latter company is reportedly close to catching up. It is currently growing faster than Square, which is expected to grow 40 percent this year. Stripe processed $13.2 billion of payments in the third quarter of this year, and it says that half of all U.S. internet users have made a payment through a merchant that uses its software. Will Gaybrick, Chief Financial Officer at Stripe, told the Journal that the new money would be used for two things. Second, it wants to expand internationally. Stripe is currently in operation in 25 countries, having launched in Japan, France, Singapore and Spain this year. Its possible that Stripe could be looking to follow Square onto the public market, but that has not worked out well for its closest rival. Square went public in November. It priced at $9 on November 18, 2015, and began trading on November 19. The company's valuation dropped 30 percent in IPO pricing. The company had been valued at $6 billion, but dropped to $4.7 billion. The stock peaked at $15.35 a share in April of this year, but has since dropped 17 percent. It is now trading at $12.75 a share. VatorNews reached out to Stripe for confirmation of the new round. We will update this story if we learn more.